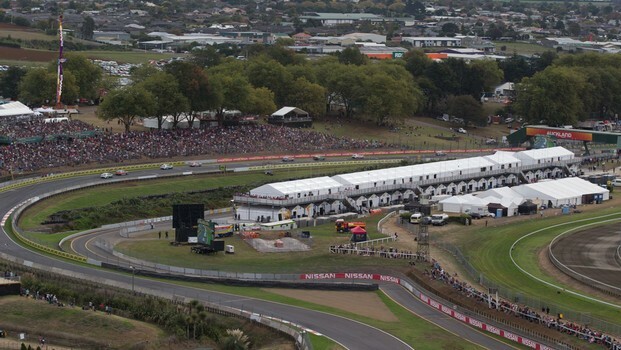 The return of the V8 Supercars Championship toPukekohe has proven an outstanding success according to V8 Supercars and ATEED(Auckland Tourism, Events and Economic Development). The three days of the ITM 400 Auckland drew 117,167fans to Pukekohe to see Jason Bright win the inaugural Jason Richards Memorial Trophy. V8 Supercars CEO David Malone said he could not behappier with the first year back at the significantly upgraded Pukekohe ParkRaceway; with the support from fans; the feedback from race teams and with theoutstanding partnerships forged with ATEED and naming sponsor ITM. “I think it has been a fantastic three days. Seeingthe crowds here over the weekend all enjoying themselves, the big numbers andgreat racing – I don’t think we could have wanted for any more for thefirst event back here,” Mr Malone said. “This circuit is the spiritual home of motorsport inNew Zealand and I was delighted with the way the fans have engaged with theevent and seeing so many families here. “I think we have proven over the weekend that this isgoing to be a major event in New Zealand going forward over the next few years.We have had a massive turnout over the weekend and that was what we were tryingto achieve. ATEED’s Jennah Wootten said she was extremely pleasedwith the weekend which had delivered a world class event to motor sport fans inits inaugural year back at Pukekohe Park Raceway. “Auckland has hosted New Zealand’s biggest annualsporting event over the last there days,” she said. “The people that haveturned up, and the enjoyment they've had demonstrates the value this eventbrings to Auckland and New Zealand." Both organisations are looking forward to furtherimproving the event going forward. “This is the first of a five year contract with V8 Supercarsand we look forward to helping to raise the bar further in 2014,” said MsWootten. The ITM 400 drew daily numbers of 35,401 on Friday,40,319 on Saturday and 41,447 today with no significant issues reportedthroughout.